When you’re planning your Cornwall walking holiday, it’s always worth checking out what’s on in the area. 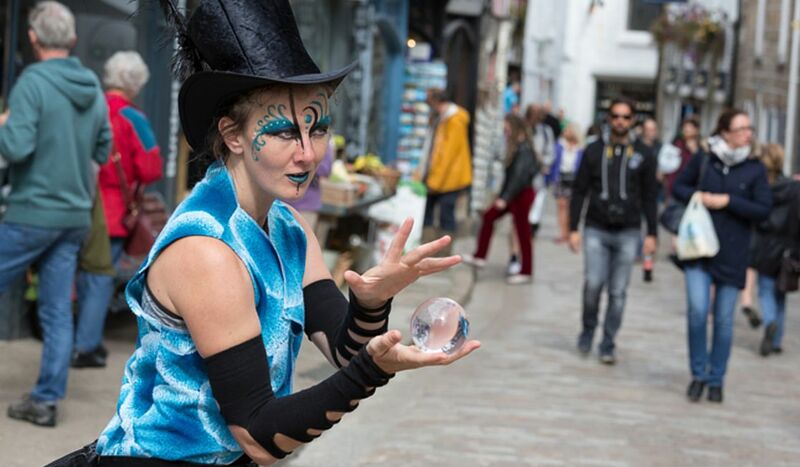 Cornwall has a vibrant performing arts scene, and this is combined with traditional fairs to create some really rather special events. Plus, our reputation as Britain’s foodie centre continues to grow, and we celebrate this with some fabulous food festivals. 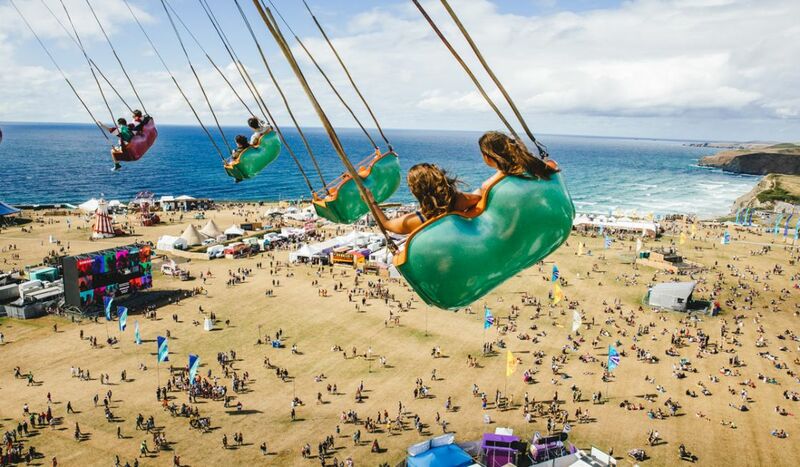 So, when you’re walking in Cornwall in 2019, here are some of the top festivals to look out for. All photos courtesy of the official festival sites. Porthleven’s lively food fest kicks off the celebration season in Cornwall. The highlight is the Chef’s Theatre, which attracts top talent from the South West. Catch a demo, then, feeling more than a tad peckish, head for the streets to eat your fill of local produce. This bustling town features on a few of our West Cornwall walks. There’s always plenty of superb food and drink to be had in Porthleven, as it’s become a go-to place to dine out. 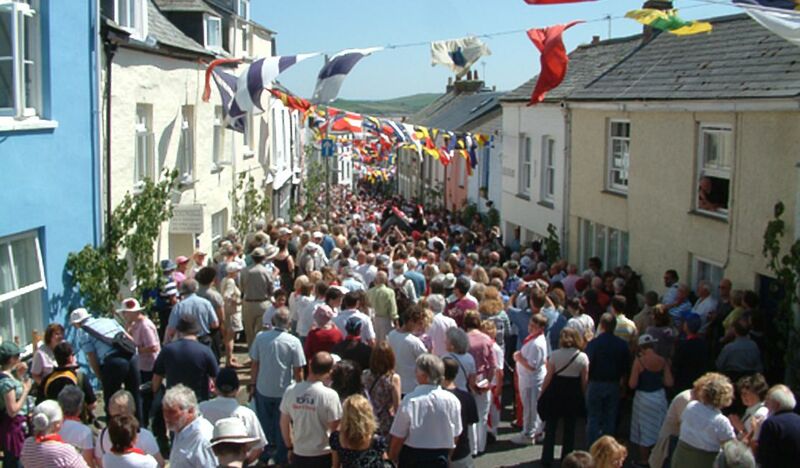 Everyone’s heard of Padstow’s May Day festivities and the famous ‘Obby ‘Oss. The streets are decorated on the night of April the 30th, and the following morning, the red and blue ‘Obby ‘Osses are released from their stables. They twirl their way around the town, followed by white-clad musicians and dancers. It’s quite a sight. This is another ancient festival, celebrating the spring. The day begins at 7am with the Morning Dance, followed by the traditional Hal-An-Tow, an old Mummers’ Play that tells the tale of the town. Helston’s children then take to the streets for their own special dance; and the famous Furry Dance takes place at midday. It’s a wonderful, joyful spectacle. Again, parking is limited, and we’d definitely recommend setting out on foot to Helston! And we’re back with the food…! 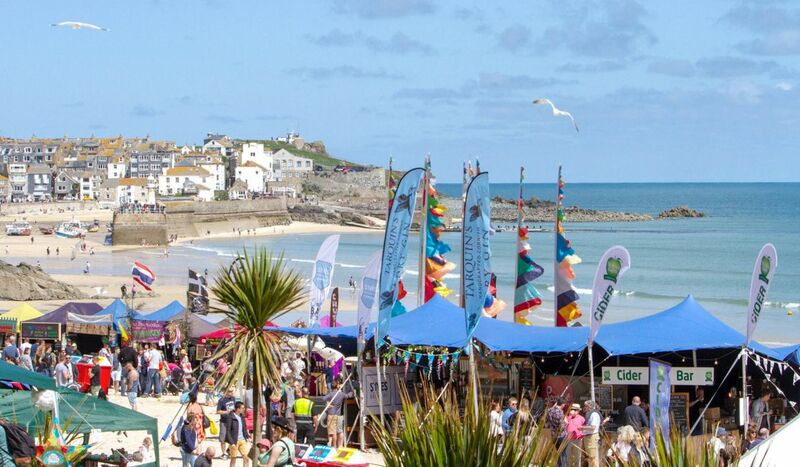 St Ives has a great reputation for food and drink, and this is celebrated in this two-day treat of a festival. It takes place on beautiful Porthminster Beach, and pretty much every local food provider and producer is involved. As well as stalls and demos, there’s lots of entertainment including music, fireworks and an artisan market. A lot of our walks pass through or start in St Ives, so you might be lucky and catch this event. We love this one. Every June, Penzance erupts into buoyant, bonkers life in this vibrant, recently-revived old festival. 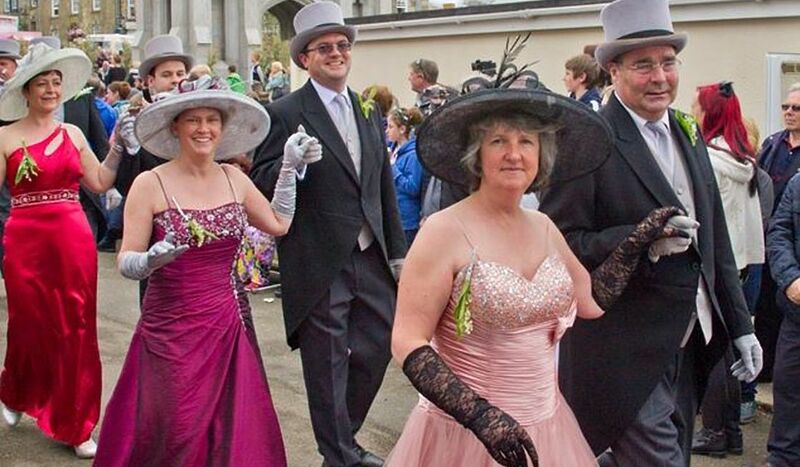 The highlight is Mazey Day on the final Saturday, where there are parades, stalls and all sorts of entertainment. There’s music and events all week, as well as a funfair by the Prom. Technically, the fair is on the South West Coast Path: a must for walkers. 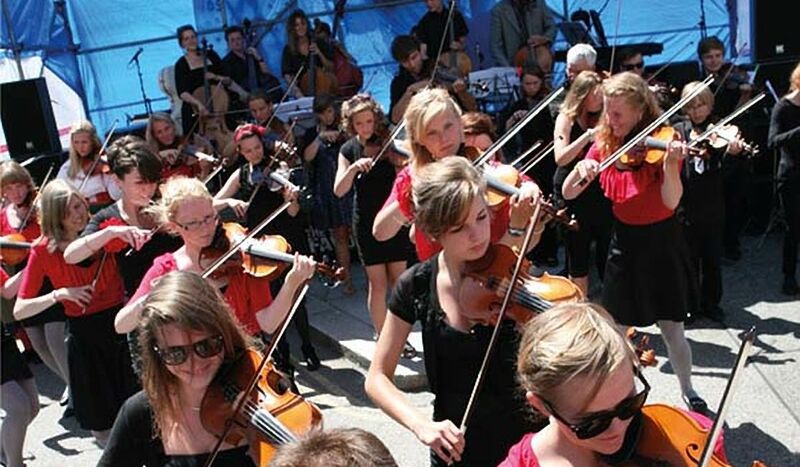 Celebrate West Cornwall’s thriving arts scene in this lively festival in St Just. There’s a fortnight-long programme of events, culminating in Lafrowda Day. There are parades and a torchlit procession, as well as entertainment at the Plain-An-Gwarry, the traditional Cornish outside theatre. If you’re walking in West Cornwall in the first half of July, you’re very likely to come across a Lafrowda event. If you’d like to catch this famous festival, you’ll need to plan well in advance – it’s not an event you can simply stumble upon. However, we couldn’t leave out Cornwall’s legendary beach party, with its combination of surf and music. This year’s headliner is Florence & The Machine, and there’s the World Surf League pro competitions to watch. And it’s back down West in September, for St Ives’ main arts festival. This has everything, from gigs to exhibitions to workshops. Try and catch one of the talks or tours about the town’s history. Fascinating, and often free. Unless you’ve had oysters and a pint of Betty Stogs in a tent, while a bunch of local blokes sing Trelawney at you, you haven’t experienced Cornwall. OK, this is a slight exaggeration; but honestly, the Falmouth Oyster Festival is a marvellous occasion. You don’t even have to like oysters. Falmouth’s a welcoming place all year round; and our epic nine-day walk to the lively university town is a superb way to get to know West Cornwall. 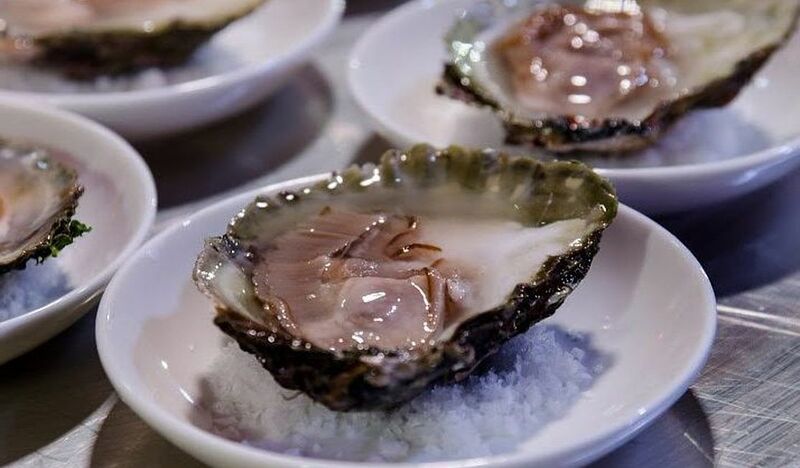 Fancy dancing behind a horse or shucking an oyster or two? 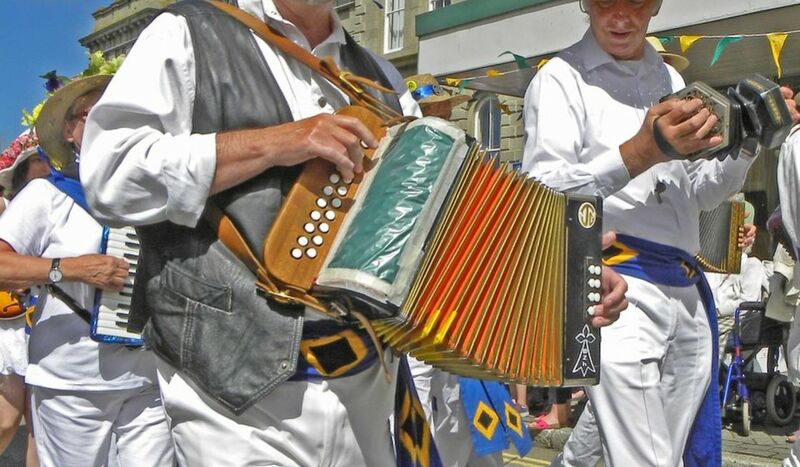 Get in touch with us, and we’ll try to tie your walk in with one of these wonderful Cornish celebrations.